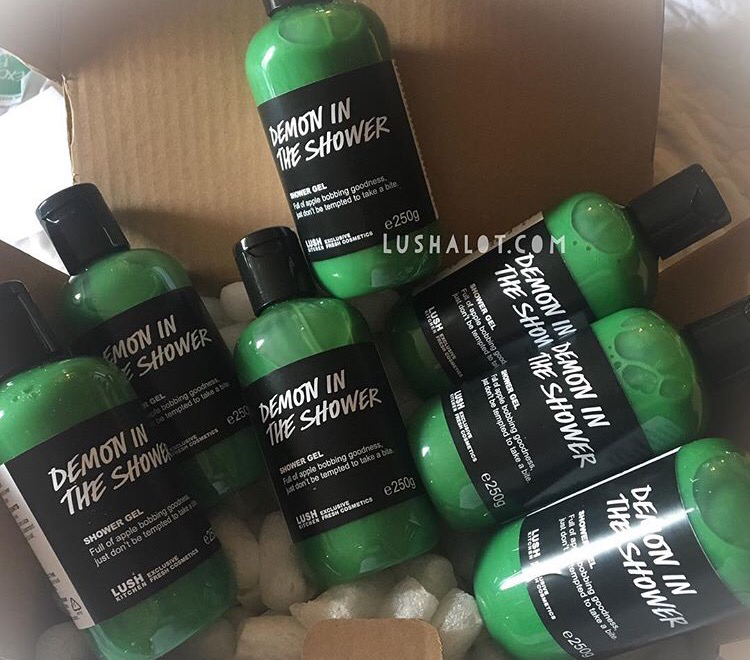 Dont look now but Lush has actually made a minty bath product. This doesnt happen very often. 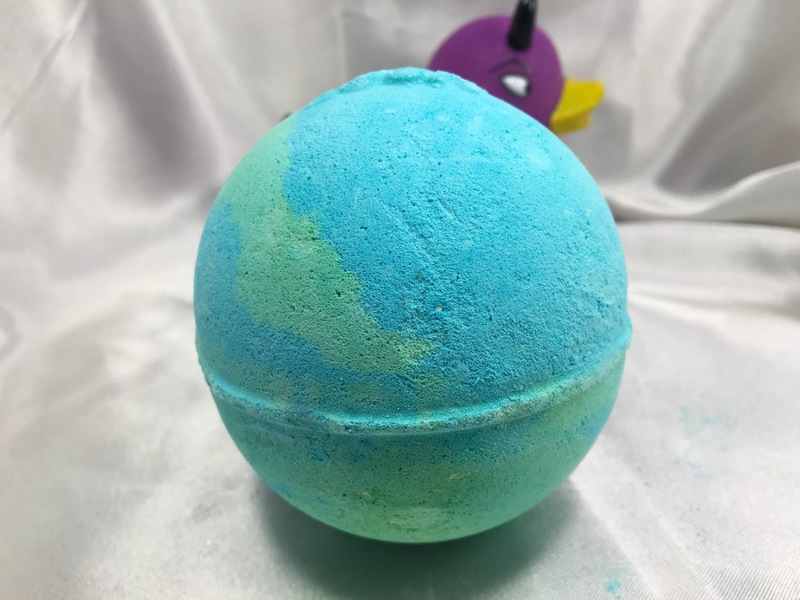 This two piece Snowman Bomb bomb is two baths worth if you want to use each of the two pieces for one bath, or you can use both pieces in one go! It’s made with spearmint in particular. I was wary of this bomb because Sometimes mint can irritate my skin or make it red. I needn’t have worried though becaise i experienced nothing but loveliness, no irritation. Its not got any eucalyptus in it like Outback mate or christingle. Its a fast fizzer, fizzes away very quickly but its a big bomb so it takes a little while. I ised both pieces for my bath and this demo. I like this. I would buy another one. i would rate this a 4 out of 5 rating. This is a moisturizing, scrub cleanser. Initially i rated it a 5 out of 5 but i will say that because of what a couple of my followers have stated, it’s best not to get this in sensitive areas as it can burn/sting quite a bit. So because of that i changed my rating to 4 out of 5. It’s still a great above average product. Initially i thought this was some kind of scrubby shower soap, like a scrubbe smoothie. But upon using it in my demo i discovered that its not meant to wash with. One washes first then uses this after rinsing your soap or shower gel off. Then you rinse it off. Its conditioning. Its very conditioning compared to rub rub rub. This isnt a fine exfoliation, its a coarser consistency, so just fyi that as i know some of you don’t like a coarse scrub. here is a video i recorded where i demo how to use it. It diesnt smell particularly herbal considering there is a good amount of sage in here. I only smell mint. Its not extremely sweet. Magic needn’t only be cast with a flick of a wand or a twitch of a nose, magic can come in a tub in the bathroom. Hop in a hot shower and let the warm water dance across your skin before scooping out a handful of this scrub. Warming and stimulating aniseed oil accompanies fine sea salt and Epsom salts to brighten, buff and polish skin while fresh rosemary and sage infusions cleanse and tone. Rinse off and let menthol crystals, peppermint and spearmint oils to leave cool tingles up and down your skin like the remnants of magic recently cast. I’ll update each bubble bar page with my seperate review tonight. Ingredients: Sodium Bicarbonate, Citric Acid, Pine Oil (Pinus), Sweetie Oil (Citrus grandis), Peppermint Oil (Mentha piperita), Cypress Oil (Cupressus sempervirens), Perfume, Gardenia Extract (Gardenia jasminoides), Colour 42045. Minty mint! Sweet mint. Very refreshing on a hot day. And the water turns a gorgeous deep turquoise blue. Lush times 2003 Description: Perhaps most of us wonder if there’s anything we can do to help bring about world peace. If we’re not world leaders or diplomats or international peace keepers then a good way to start would be to be pleasant to everyone we meet, well behaved on the roads, polite and considerate to our friends and families and kind to complete strangers. Scale it up a bit and we’re there! ‘What’s that got to do with a Bath Ballistic?’ you may ask. It’s like this. The World Piece is made with pine oil from Russia for courage and constancy and peppermint, symbol of friendship and love, from the USA. We have sweetie oil, from an Israeli grapefruit bred to remove sourness, mixed with a secret perfume from the edges of the Arabian Sahara Kenyan cypress oil is said to soothe anger and calm down irritable people who won’t stop talking and start listening. Use them yourselves and send them to people who have a direct influence on ending conflicts. (Just be careful not to label the package ‘Bath Product’ not ‘ballistic’ or ‘bomb’ because that wouldn’t help. Ingredients: Sodium Bicarbonate, Tartaric acid, Sodium Laureth Sulfate, Lauryl Betaine, Peppermint oil, Cocamide DEA, Flax seed oil, Cypress Oil, Perfume, Gardenia Extract, Chlorophyll, Color. My review is from 2006, and i feel the same way about it in 2016. Okay. I’m so amazed with Melomint bubble bar. And I’m amazed at “Summer” on the uk forum for ever having the patience with us to again and again try to get our collective together to vote for it and (thank heavens) finally having it win this time. It looks like a watermelon…in technicolor. It turns the water a beautiful light red/dark coral color. (I’m taking a pic of the water next bath). It smells like spearmint (not sweet mouthwash-y peppermint). It’s refreshing as all get out when the temperature rises in Summer. And what is up with the little watermelon seeds? Cute! 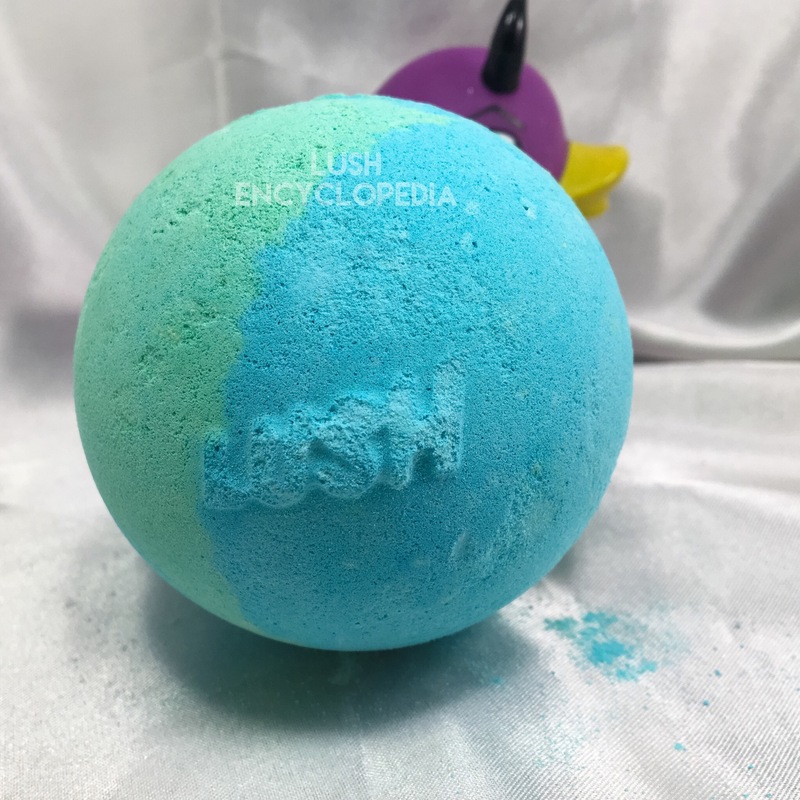 I think it’s darn near perfect, bravo Lush. It is strong enough of a mint to stand alone, and the water color is so unique for a Lush product that I wouldn’t want to change it. 😀 If you like Lush’s “Ice Hotel” bubble bar you’ll love this I think. It’s the same minty freshness just without the lavender. And the cypress really works here. It helps sort of ground it without even being noticeable. Wow. LT description: If you like spearmint chewing gum you’ll likely have a weakness for this bubble bar. 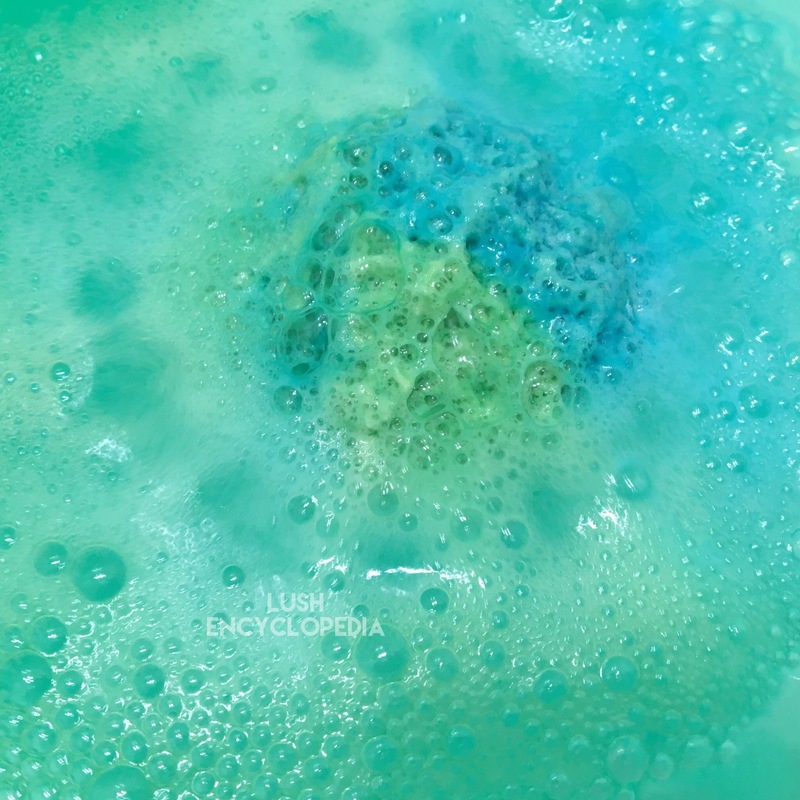 The mint, cypress and chlorophyll provides relief to tired and aching bodies at the end of a hard day, and with the look and shape of a slice of watermelon, this bubble bar is a beauty.